When the original Carmageddon launched almost 20 years ago, it caused uproar amongst the mainstream press because of its graphic violence and was ultimately censored or even banned altogether in a number of countries. As the saying goes, “any publicity is good publicity,” and as a result, Carmageddon went on to sell by the bucket load in the markets where it was available. Unfortunately, despite relatively advanced 3D graphics and ultraviolent content, the original game was actually quite dull when compared to peers like Twisted Metal and Destruction Derby. Since then, the world of video games has changed dramatically, and random, comic violence is much more commonplace across all media than it was in 1997. As the subject of this review, Carmageddon: Max Damage is therefore going to need to stand on its own two feet as a credible gaming experience instead of simply selling on shock value. Has its basic formula stood up against the test of time? Fully loaded – What immediately struck me about the single player campaign in Max Damage is how much content there is. There are some 20 sets of competitions to drive through, each of which is split into two to five individual events that take place on the same track variant. Within each of these events, there is one or more ways to win based on about five core objectives such as winning a basic race, destroying all the other cars or killing the most pedestrians. 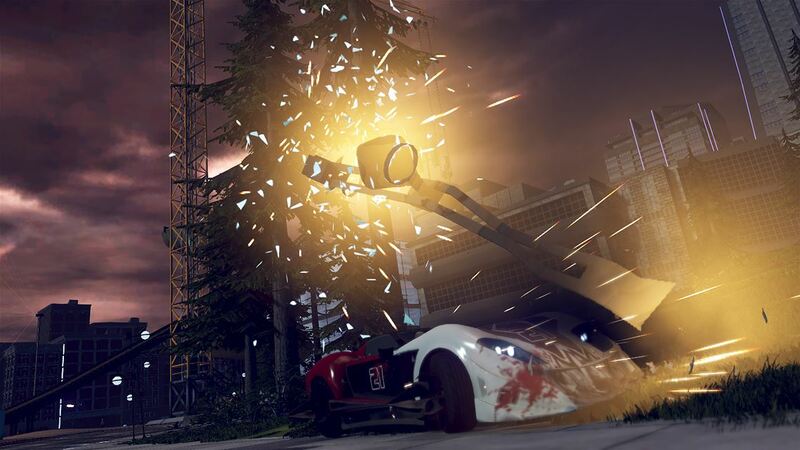 Players begin the game with access to only two cars, but by destroying marked vehicles in any mode, it’s possible to unlock more and open up a large and varied roster. 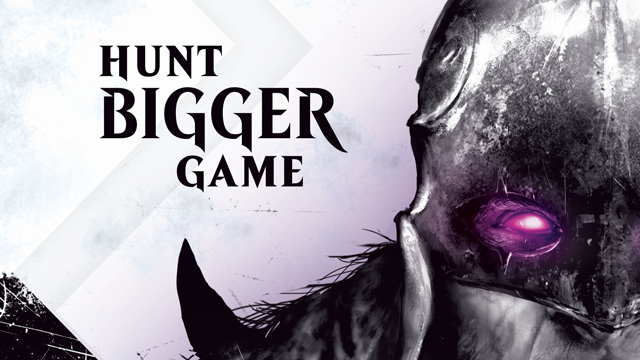 As I’ll touch on later, the formula does eventually run out of steam, but there is nonetheless lots to do here, and I have no doubt that fans of the game will absolutely lap it up. 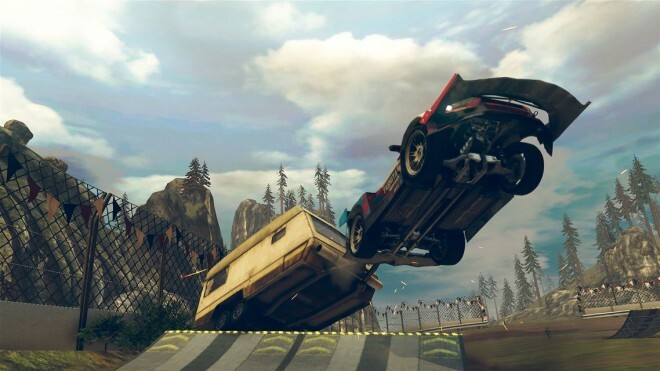 Sleek lines – Considering that Max Damage is an updated version of the PC remake (Carmageddon: Reincarnation) from a few years back, it has made a respectable transition onto Xbox One. The arenas are large and varied with lots of destructables and things to see and do, whilst the cars themselves are highly varied and imaginative. My only negative comment about the graphics is that there is an occasional drop in framerate, but it’s neither serious nor common. 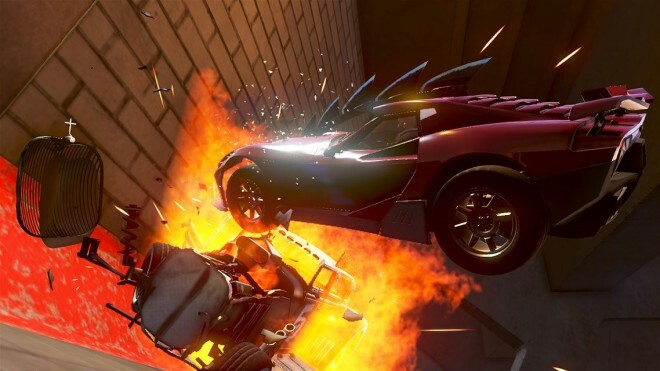 The sound design is perhaps the best thing about Max Damage, as cars, collisions, squelching pedestrians and pretty much everything else sounds spot on. There is even a licensed soundtrack, albeit one featuring artists that I’ve never heard of – although that could simply be because of my age. Fastest lap – With a seemingly decent variety of arenas, modes and cars, Max Damage works well when played for an hour or two at a time, rather than in a marathon session. Jumping into a mixed objective arena and simply smashing up opponents for a while can be a lot of fun, and the more you play, the more used to how long each mode is likely to last you’ll become. In Ped Hunter (Peds are pedestrians) mode, for example, the first car to kill a set number of bystanders wins, and such games usually take less than five minutes. A checkpoint race, on the other hand, can take considerably more time, as can a Wreck ‘Em deathmatch. It’s only really when these modes are played consecutively on the same course as part of the career mode that the cracks begin to show, and Max Damage becomes repetitive. Room in the back – Max Damage’s multiplayer mode is feature rich and offers a fun way to kill some time that isn’t reliant on the fairly suspect artificial intelligence. Six-player online play is available, and all of the single-player cars, arenas and modes can be recreated, as well as a few other such as the Fox ‘n’ Hounds mode. Oddly, pedestrians are removed from the game during multiplayer, which makes the vast, open arenas feel oddly devoid of life, but that’s a minor criticism. Ride control – If there is one thing that any driving game should do well, it’s ensuring that the vehicles feel good within the parameters of the game world. Unfortunately, Max Damage doesn’t manage to achieve this aim. Despite radically different appearances, many of the cars share the same wallow-y handling, sluggish turning circle and an often completely uncontrollable rear end. A handbrake button is offered and has to be used liberally to allow for even basic cornering in most cars. These issues can compound to cause some very frustrating experiences. Satellite navigation – Perhaps the one thing that adds most to the frustration around playing solo for long periods of time is the feeling that the artificial intelligence in Max Damage is absolutely appalling. Enemies simply drive at the player, rarely using any of the fun and inventive power-ups in the game and never varying their tactics beyond taking head-on collision route. It’s a shame, because there’s enough variety in the different modes to allow a lot of tactical thinking, but as you watch your opponents repeatedly drive straight at you or the objective, paying no heed to what’s in between, it can become quite tiresome. Ultimately, Max Damage is good fun when played either online or in short solo bursts. Despite the hefty wedge of content on offer, I do question the game’s long-term appeal, but I would rather run out of interest before I run out of content, as opposed to the other way around, which is so often the case in modern video games. 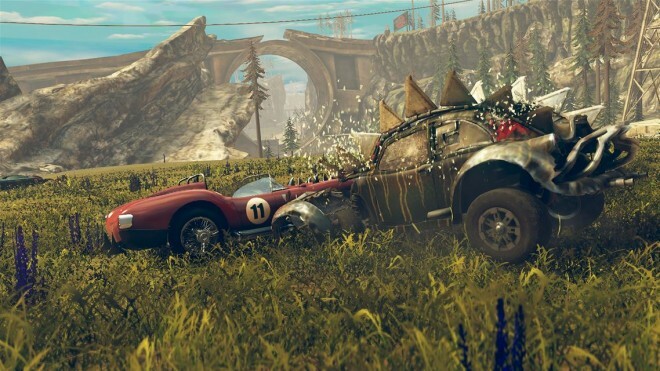 Fans of old school vehicular combat will certainly enjoy Max Damage, and if the online matches remain reliably available for a long time, then there is no reason to think that you won’t get your money’s worth. A special note for parents: Max Damage is excessively violent, and although it is intended to be comical, the game encourages running over elderly people, people in wheelchairs and so on. This isn’t a game that was intended for kids. Carmageddon: Max Damage was developed and published by Stainless Games on Xbox One. It was released on July 8, 2016 for $39.99. A copy was provided for review purposes.